One of the easiest ways for your business to be found on Google is to open a Google My Business Account. 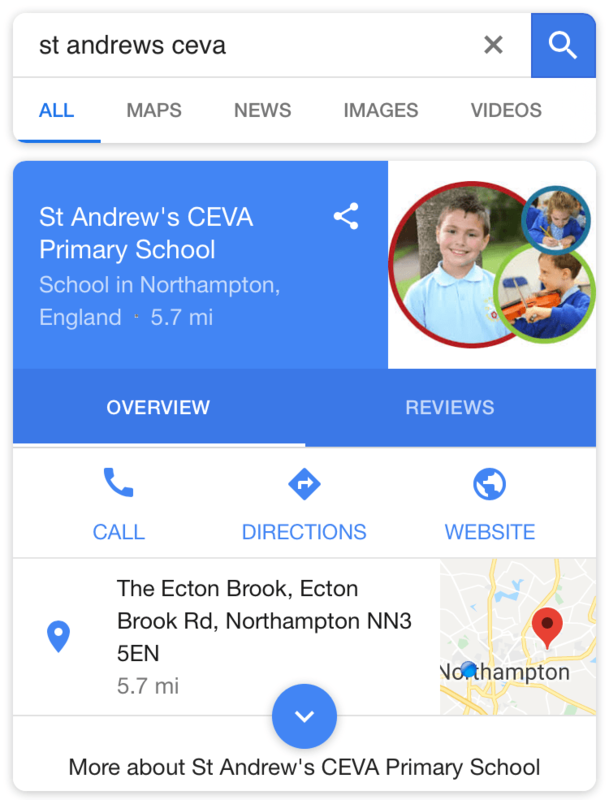 Google My Business works alongside your existing small business website by giving your company a public identity and presence with a listing on Google. The information that you provide about your business can appear on various sites such as Google Search, Maps and Google+. In this article, we show you how you add your business to Google My Business. 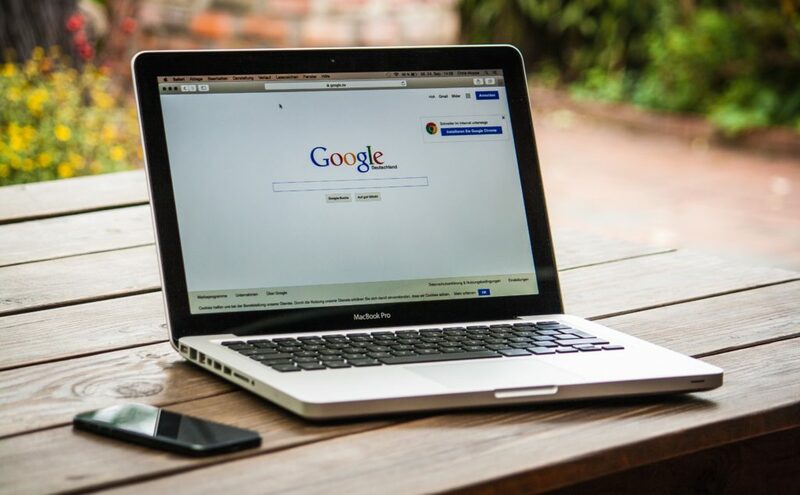 It is really very easy to add your business to Google My Business, and if you aren’t currently listed you are missing a huge free marketing opportunity. Visit www.google.co.uk/business and search for your business. Select your business from the drop-down list or create a new listing. Fill in all your location details carefully and confirm your location is correct on the google map. If not you can drag and drop the marker to your desired location. Choose a category that is relevant to your business. Correct category selection helps you attract visitors who are searching for companies like yours in your area. Select a category that best matches your business. Verifying your business confirms that you’re authorized to manage your company listing. Once verified, you’ll be able to make the most of your listing on Google. You can verify by phone or postcard (which can take a few weeks to do), but if you don’t verify, your company won’t show up in the relevant listings. Now that Google knows where you are, tell them who you are by filling in as much detail about your business as possible. Dedicate the necessary time and resources to providing thoughtful, well-worded content as this is the information Google pulls from when it indexes its searches. There are numerous areas to provide information about your business throughout your Google My Business Page profile. Make sure to add your main contact phone number, website address and images that showcase your company. Once you have filled up your page with all possible relevant information, bookmark your Google My Business Dashboard. This is an interface you can go back to whenever you need to update information about your compnay. You can also use this as a portal for viewing insights, responding to reviews and exploring advertising opportunities for your business on Google. 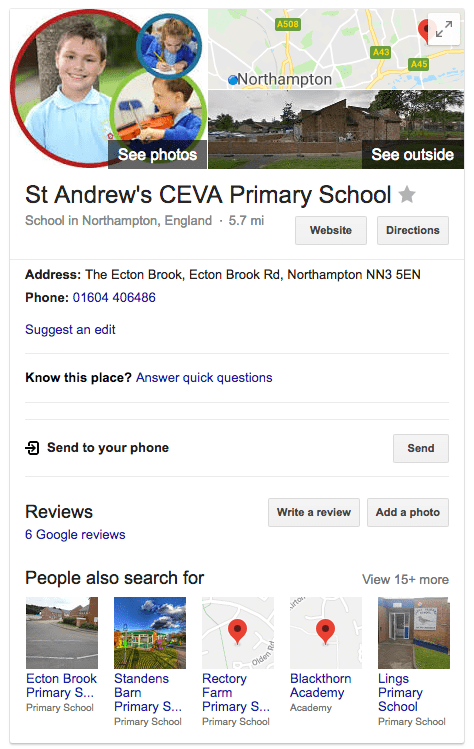 Your Google My Business Page is a constantly evolving platform, make sure you keep it updated. It gives you the tools to update your listing and engage with your parents from your phone, tablet and computer. All for free. Whenever someone searches for a business on mobile you should appear at the top of search results. The picture below shows what you can see on mobile. If you have configured your page correctly, you will have easy one-click options to call, find directions or visit your website. On desktop, if someone searches for your school, they will get a handy box with all your key details to the right of the search results.